Boasts 36 Highway MPG and 25 City MPG! This Volkswagen Jetta Sedan delivers a Intercooled Turbo Regular Unleaded I-4 1.8 L/110 engine powering this Automatic transmission. Window Grid Diversity Antenna, Wheels: 17" Joda Black Alloy, Wheels w/Machined w/Painted Accents Accents. This Volkswagen Jetta Sedan Comes Equipped with These Options Vw Car-Net Tracker System, V-Tex Leatherette Seat Trim, Variable Intermittent Wipers w/Heated Jets, Trunk Rear Cargo Access, Trip computer, Transmission: 6-Speed Automatic w/Tiptronic, Tires: 17" All-Season, Strut Front Suspension w/Coil Springs, Steel Spare Wheel, Sport Tuned Suspension. 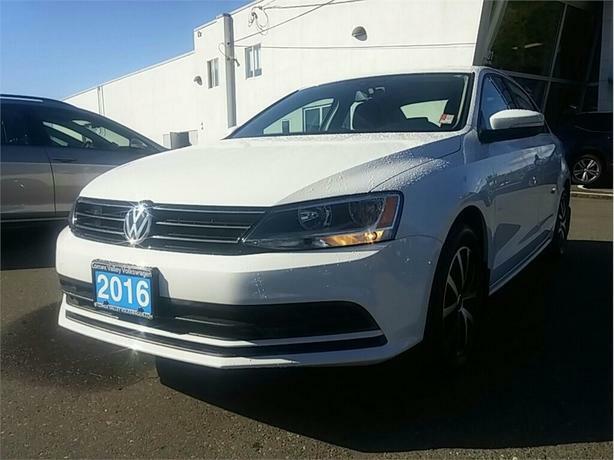 Visit Us Today For a must-own Volkswagen Jetta Sedan come see us at Comox Valley Volkswagen, 401 RYAN RD, COURTENAY, BC V9N 3R5. Just minutes away!